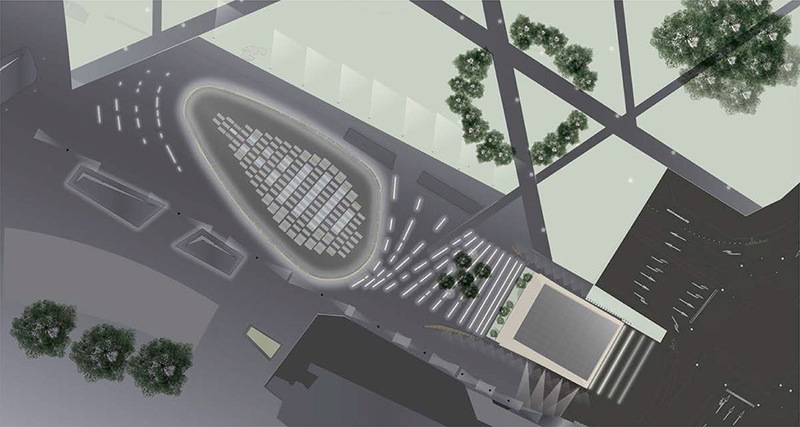 The lighting project for Piazza Gae Aulenti is based on the concept of rhythm, musical rhythm in particular. The positioning of 10-metre-high poles, echoes the typical marking of rhythm on a music sheet thus creating an intriguing analogy between the rhythm of sound and the rhythm of light. In this way the square is not illuminated in a uniform, flat manner, the light is alive and in fact, rhythmic. If we were to describe it in terms of a synesthesia we could call it the “sound of light”. 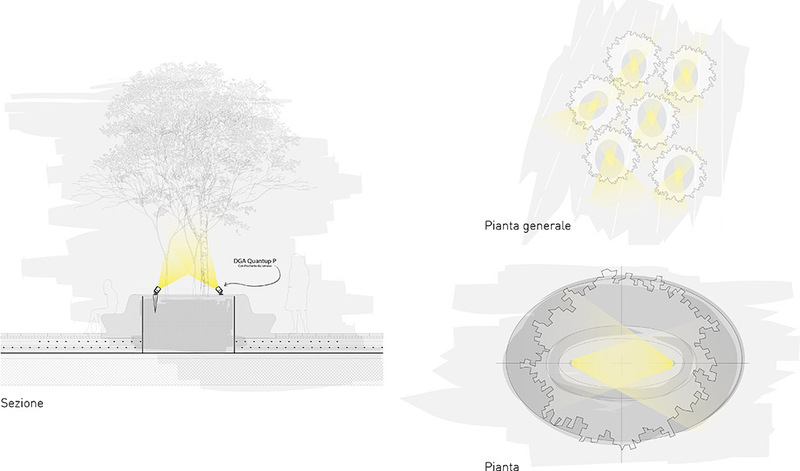 The theme of sound continues with illuminated lines on the ground, these elements were entirely custom-made for the square and exploit the rainwater collection system to create segments lit by indirect light. 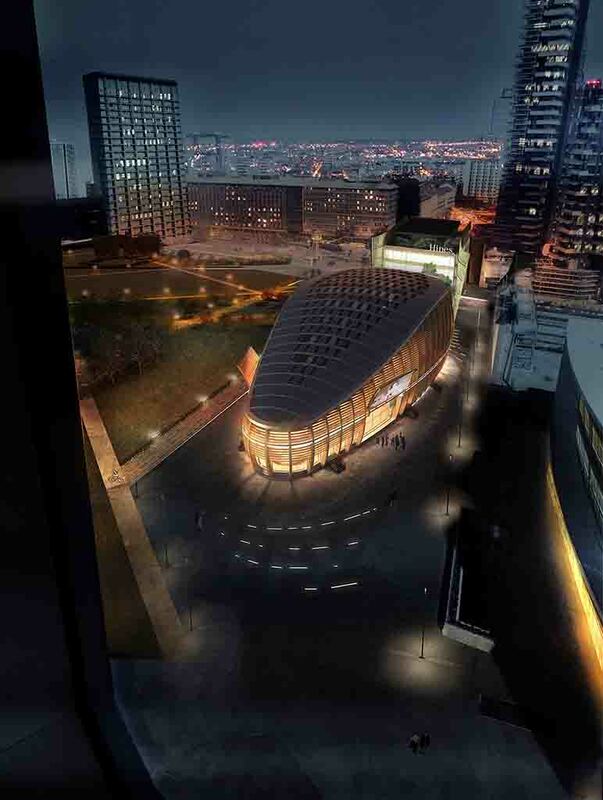 The design of these illuminated lines reference sound waves which form between the buildings designed by the architects Michele De Lucchi and Mario Cuccinella, thus producing a luminous pattern which helps pull the whole project together. 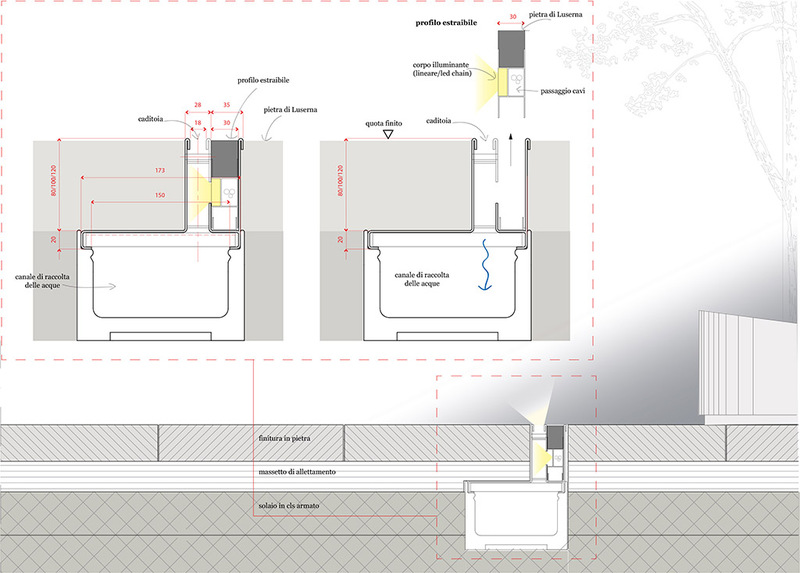 A conscious decision was made to integrate the lighting devices as much as possible within the silhouette of the building and hide the power supply so as to place more emphasis on the poles and lines.